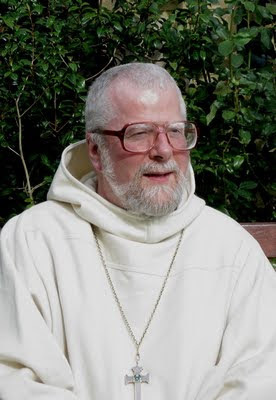 With commendable efficiency, the Benedictine community at Pluscarden has elected a new Abbot, Fr Anselm Atkinson, to replace Abbot Hugh Gilbert who was appointed Bishop of Aberdeen in June. Abbot Anselm was installed on Tuesday. After making his first vows at Pluscarden in 1976, he went to Rome to study scripture and returned to the community where he taught scripture to the novices and juniors. He was ordained priest in 1982. In the late 1980s, he went to the Pluscarden's daughter house in Petersham, Massachusetts, where he became Abbot. He has also been Visitor for the English Province of the Subiaco Congregation. Congratulations to the community at Pluscarden. Please remember them in your prayers: as well as assisting the Church powerfully through the constant prayer of the Sacred Liturgy (all sung in Latin every day) they have helped countless people through their generous hospitality. Spare a thought too for Abbot Hugh who is to be consecrated Bishop next Monday. "For these millennials, faith trumps relativism"
Looting - why not if you are a moral relativist? Secular recognition for the word "chalice"